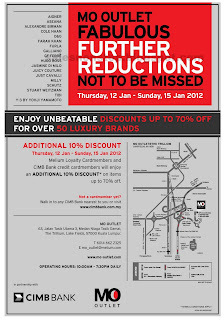 Enjoy unbeatable discounts up to 70% OFF for over 50 luxury brands! 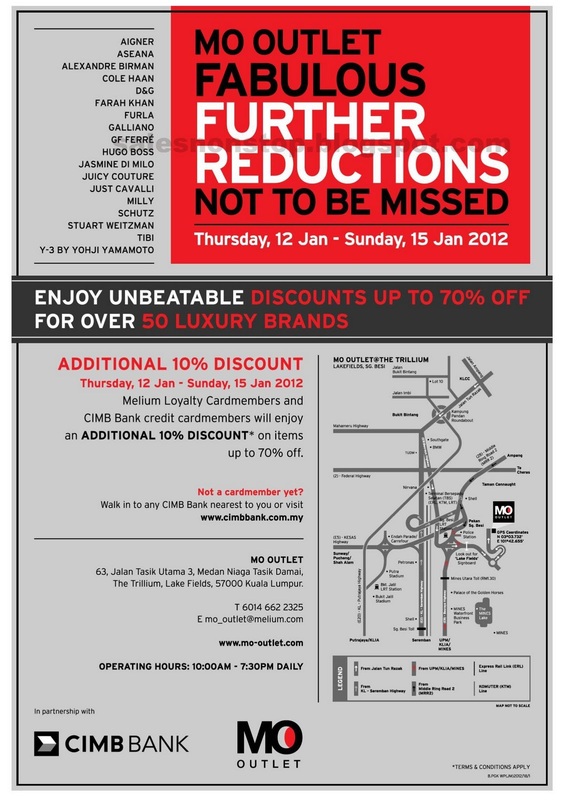 Melium Loyalty Cardmembers and CIMB Bank credit cardmembers will enjoy an ADDITIONAL 10% DISCOUNT on items up to 70% OFF. 63, Jalan Tasik Utama 3, Medan Niaga Tasik Damai, The Trillium, Lake Fields, 57000 Kuala Lumpur.